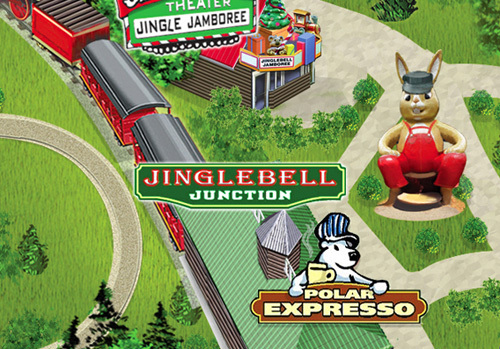 Ride the Jingle Bell Express through the village. Remember to wave to the other guests as you chug by! It’s tradition to kiss while in the tunnel or on the trestle! There are no seatbelts. Toddlers and infants must be held by an adult while riding. Children of all ages may ride with a responsible companion of at least age 16. MINIMUM HEIGHT 48″ TO RIDE ALONE.